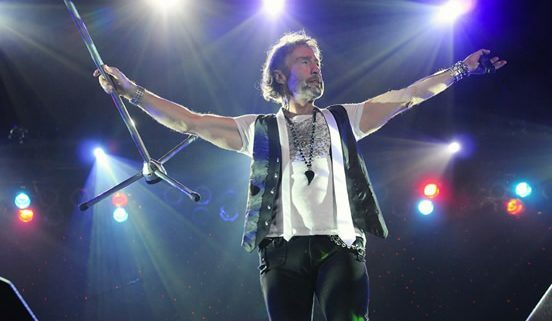 Still topping the Billboard Charts in 2018 with his latest CD/DVD release, Free Spirit, hitting #2 three times Paul Rodgers is a force not only as a singer, but as a songwriter and multi-instrumentalist. Recently BMI Awarded Rodgers with a Citation of Achievement when “All Right Now” co-written by Rodgers reached over 6 million radio plays in the US. He first shot up the International Radio Charts in 1971 and unto the music scene with this rock anthem and his band Free. At that time Free and Led Zeppelin were the largest grossing British acts. Free released four top-five albums and were leaders of the British blues rock invasion. The band was formed by Rodgers and late guitarist Paul Kossoff with Andy Fraser on bass and Simon Kirke on drums. Rodgers went on to form Bad Company with guitarist Mick Ralphs, writing and singing smash hits like the Grammy nominated “Feel Like Making Love”, “Can’t Get Enough”, “Shooting Star”, “Bad Company”, “Run With The Pack”, “Rock n’ Roll Fantasy”, and the list goes on. Bad Company rode the top of the charts for years and earned six multi-platinum albums. 10 From 6, the groups greatest hits compilation, remains a top seller. The late Boz Burrell was bassist and Simon Kirke on drums. To this day the band continues to tour, however, only playing an exclusive number of shows each year. Next up for Rodgers was songwriting with Led Zeppelin guitarist, Jimmy Page, which led to performing on the historic US ARMS Tour, including Eric Clapton and Jeff Beck, after which The Firm was born. Both Firm world tours were top grossing tours. The Firm and Mean Business, the group’s two albums also enjoyed international success producing hits “Radioactive”, “Satisfaction Guaranteed” and “All The King’s Horses”. Most fans know that Paul wrote “Radioactive”, not many know that he played the guitar solo as well.